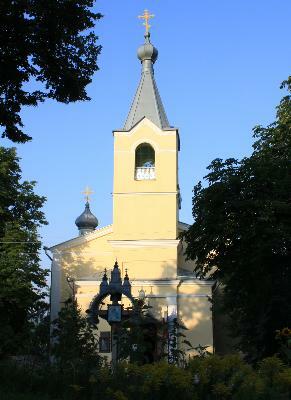 The monastery of Răciula is dedicated to the Nativity of Virgin Mary. 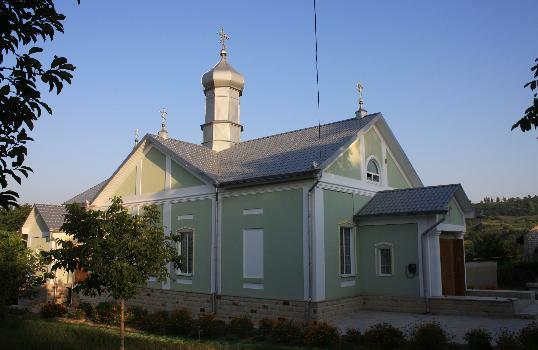 It was placed in the village of Răciula from the raion of Călăraşi, not so far from the monasteries of Hîrjauca and Hîrbovăţ. 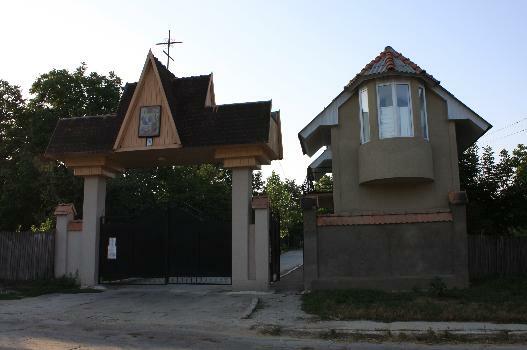 It was founded in the 18th century by brothers Andrei and Ioan Roşca, on the estate of yeoman Lupu Stratan. 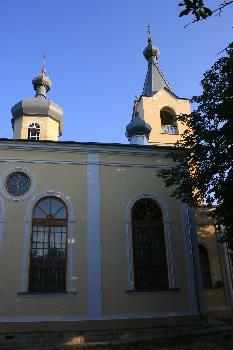 The larger church is dedicated to the Nativity of Virgin Mary and was built around 1800. This church was rebuilt in stone in 1845 and again in period 1907-1910. 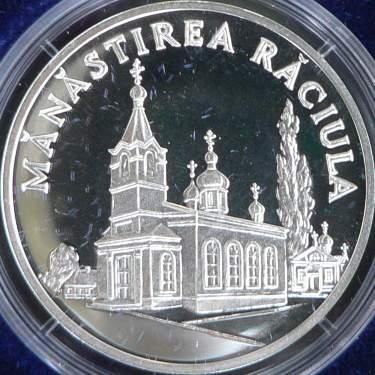 This summer church is represented on the foreground of the coin. In 1959 the belfry was demolished, the church's nave being transformed into a wedding hall (later, storehouse for the local kolkhoz of Răciula). 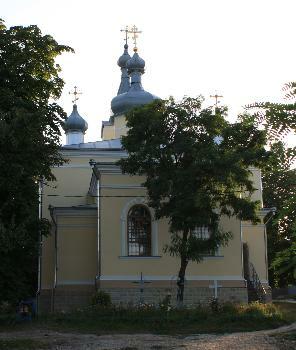 The smaller winter church was built in 1822, reconstructed in period 1855-1860, and it is dedicated to Saint Nicholas. 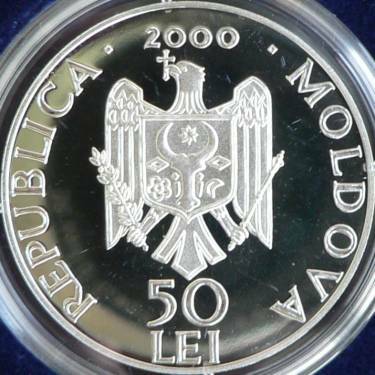 It is placed on the coin at right, in background. 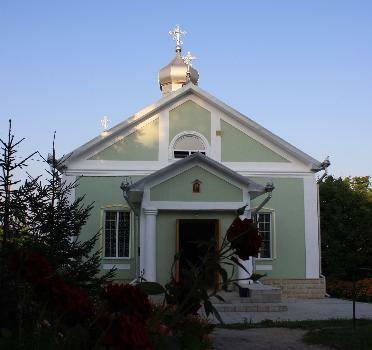 In 1811 the monks left the skete of Răciula, that was transformed into a skete for nuns. In 1938 the monastery was named "Holy Monastery Oltea Doamna" - Oltea Doamna being the mother of Stephen the Great. 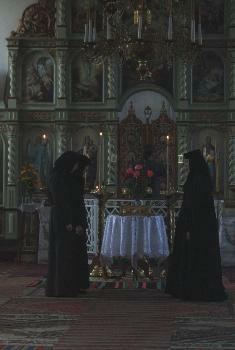 In July 1959, when the monastery was closed by communists, the nuns attempted to oppose. 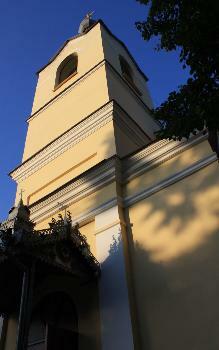 The church bells rang continuously for ten days and all the villagers gathered to defend the monastery. At last, the Soviet policemen intervened with fire arms and the monastery was eventually closed. During the confrontation with militia forces one believer was killled and several others wounded. Later, eight people were sent to jail. At Răciula the nuns lived in houses scattered around the two churches. 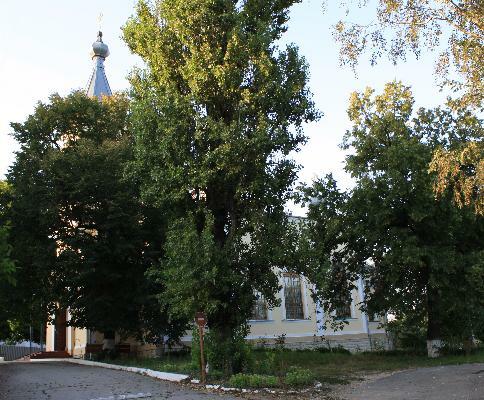 After the closing of the monastery the majority of nuns stayed at Răciula, being forced to work at kolkhoz (almost all inventory of the monastery being transferred to the kolkhoz). 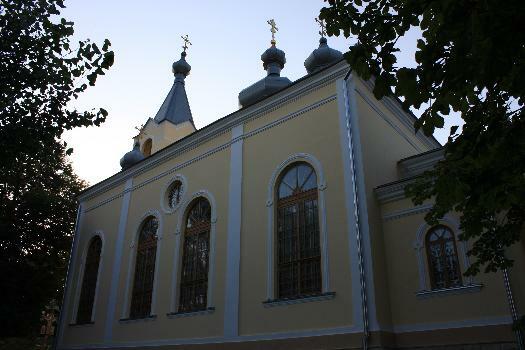 In 1989-1990 the monastery was reestablished, later the churches being repaired and the original aspect restored. In present days (2010) Răciula has approximately 100 nuns.